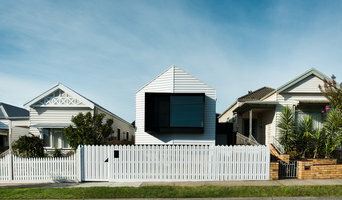 We are a boutique construction company delivering architectural renovations to inner city premises. Ever interested in the aesthetics, always asking “how will that finish” we concentrate on the detail to ensure that a clean aesthetic is paired with a functional design response. Wally Williams Constructions builds all forms of residential projects such as single detached one off homes, townhouses, units and renovations and also commercial projects such as child care centres, dental surgeries, church buildings, office buildings and has experience in the development of small tracts of land. Our company was formed in 2002 and we have steadily grown into the successful and dependable company that we are today. Erfanian Developments strive to deliver the highest level of craftsmanship in the housing industry. We only undertake enough projects per year to ensure personal quality control and precise detailing to our houses. We pride ourselves on punctuality, honesty and quality and these are our essential priorities that form the foundation of our business. Erfanian Developments consists of dedicated managerial team and qualified craftsmen. We have a very strong system in place to ensure your home is delivered to your comfort If you have any enquiries please do not hesitate to contact us via phone or our contact form. Berstan Homes specialize in Custom home building, knock down rebuilds and dual occupancy builds. At Evenwedge Homes builders Melbourne, we are committed to achieve excellent results when constructing large unit developments. 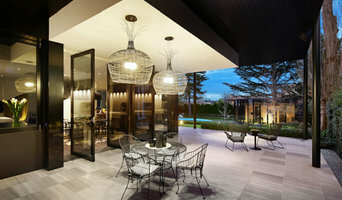 Our buildings are custom designed to your preferences built with expert skill by our new home builders Melbourne aims to gift them lavish, luxury and prestige home. We consult closely with our clients throughout the design and construction process to ensure that the finished product not only meets but exceeds all expectations. M-CON KLUWER GROUP (Millennium Maintenance & Construction) are premier Eco builders and plumbers specialising in exceptional designed homes and renovations. We specialise in Architectural Building, Residential Building, Commercial Building, Property Development, Building Maintenance, Plumbing & Electrical. With over 25 years of experience, Mark & Paul Kluwer have a true passion for quality & detail, and are recognised as true leaders in their field. 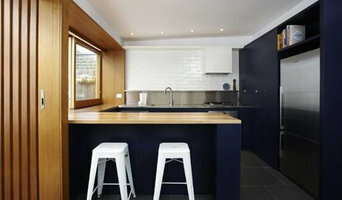 At Sherbrooke Design and Construction we are one of the most professional Melbourne builders in home extensions, renovations, architectural designs & custom new homes. Providing a full service, we offer a comprehensive range of building design, construction and maintenance services, end-to-end project management including design advice and budget guidance, multi unit developments, town planning, administration, construction management and interior consulting. A true home-grown success story, from carpenters both Rob Drechsel and Graham Salan started the business in 1990 and continue to independently own and operate the company today as leading Melbourne home builders. With over 50 years experience between them and a long list of awards, they still love what they do – building. 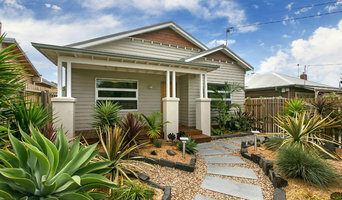 If your Thinking of Extending, Looking to Renovate or Building a New Home then we can help, visit www.sherbrookeconstructions.com.au today. Experience Award-Winning Custom Homes R.Z.Owens Constructions was founded in 2007 by Raymond Zhang and Owen Xie. Two university friends who shared a passion for hard work and building quality new homes. We came together with complimentary backgrounds – Raymond in finance and Owen in construction – to try and prove ourselves in this competitive field. Since that time, our name has become synonymous with success. We have now built many homes across Victoria’s east and south‐east regions – and are continually adding to our impressive portfolio. Projects include multi‐unit developments for property developers as well as luxury homes for home owners.We have a strong, reliable and trustworthy construction team. And our outstanding customer service has made us one of the most reputable building companies in the local area today.